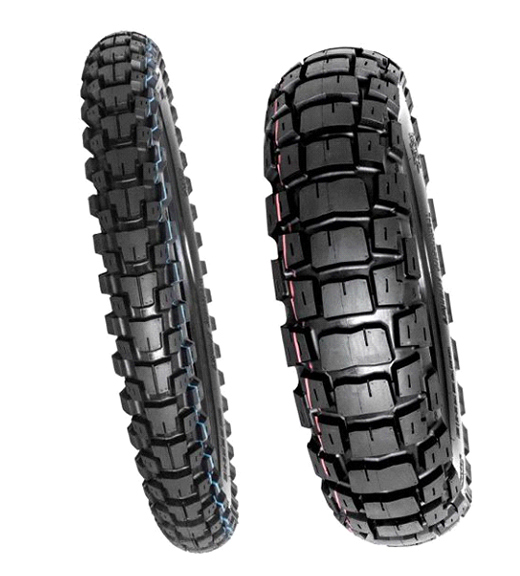 Picking the best dual sport tires for your bike requires the ability to anticipate where most of your riding will take place while respecting the limitations of the tire. Adventure bikes are versatile machines that are designed to be capable on most surfaces. While a skilled rider can take a bike almost anywhere with nearly any tire, for most novices, tires are generally the deciding factor that determine where a bike can go. There's a trade-off with dual sport tires. What we gain in off road traction, we loose in tarmac performance, and vice versa. 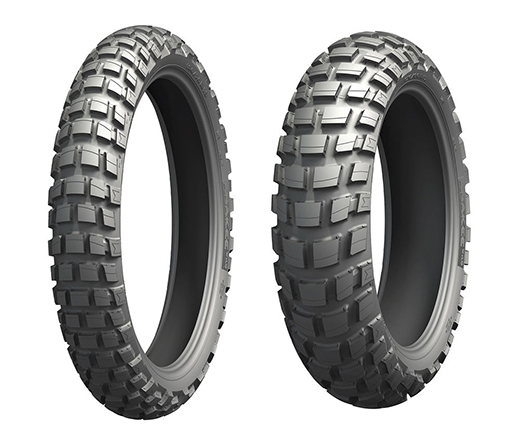 Manufacturers normally rate dual sports tires for both road and off-road use, and the ones that perform equally as good on road as they do off are called 50/50 tires. 2016 saw even more offerings in this rising tire category. As such, knowing which dual sport tire meets your personal riding style can take some testing. 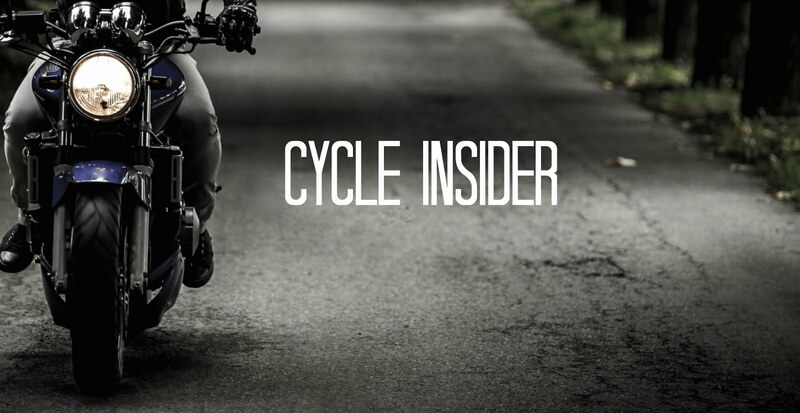 Proven models like Continental’s popular TKC80 will fit most riders' needs, but many other brands compare well and can be more budget-friendly. The following is a list of Five Hot 50/50s for 2016 with their unique features and advantages. This is not intended to be a comprehensive list of all 50/50 tires and we welcome input on your favorite tire(s) in the comments section. Read the full article on ADVMoto today! MotoZ's Tractionators are among the newer DOT-approved dual sports models, and in some ways these are the direct rivals of Continental’s well-regarded TKC80s. Users report that these tires are great for off-road use. The Tractionators come in a range sizes that fit 21/18 wheels. They are built with either bias-ply or bias-belt carcasses, depending on the size. The aggressive tread is designed for good off-road performance, with blocky patterns that grip nicely on dirt and rocky ground. To make this configuration ride as well on roads, the tires have all-natural rubber construction with a rounded profile for good cornering on asphalt. This design rolls quietly and smoothly on every kind of hard surface and as well as confidently on the trail. Users are getting about 5,000 miles out of their rear tires. With MotoZ’s designers focused on off-road performance. While the Tractionators excel off road, you won’t be compromising much with these if you’ll be racking most of your miles on roads. Motorcyclists who live far from their stomping grounds can easily justify the general performance of these tires. ▲ Durable natural-rubber compound. ▼ Best on hard and dry surfaces. ▲ Composite deep treads optimized for cornering. ▼ Lacks sidewall marks for DIY mounting and balancing. ▲ Great traction on all surfaces. ▼ Wears bares in around 5,000 miles or so. The Michelin Anakee Wild is one of the best handling 50/50 tires around. 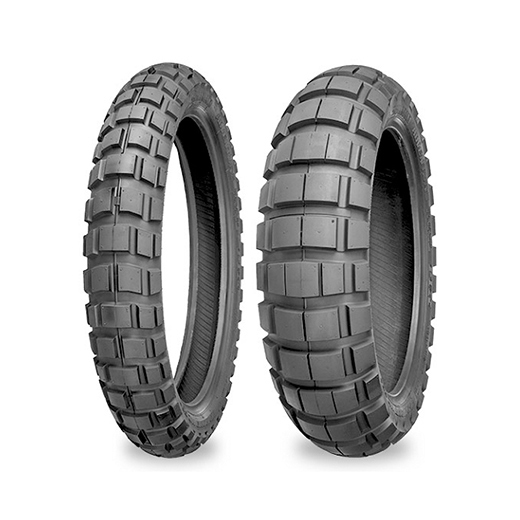 It is a tire that performs best on dirt but also rolls and corners as well as a street tire. Much of its design advantage is found in its radial construction and offset curved block pattern. The Anakee Wild can roll as smoothly as most street models and remain as long lasting, yet hit the trails with a surefootedness second to none. The alternating knob patterns act to make the tire more rigid while teeth channels work to pass fluids and debris picked up from the ground. Large center blocks create a contact patch that results in stability, especially when carving down inclines. The front tire tracks through sand efficiently and its grooved rubber gains better traction in the wet, on dirt or mud. Anakee Wilds are radials that come in a short range of sizes that fit 19/17 wheels. Their quality is shown in the carcass construction and block reinforcements, details that attest to the level of engineering involved. It is not uncommon for owners to report 5,000 miles off their rears on loaded bikes. The Anakee Wilds have slightly better traction on uneven terrain at lower speeds and are acquiring a considerable reputation as great sports adventure tires. They are the current favorite of many, and the likely pick of those who spend a considerable amount of time off the asphalt. Check out ADVMoto's full review of the Michelin Anakee Wild! ▲ Alternating knob pattern has great grip. ▼ Lots of road noise. ▲ Muddy and gravelly water shed through teeth channels. ▼ Slightly less on-road traction at lower speeds. ▲ Block ridges on outer knobs work for stable cornering. ▲ Radial durability and wear resistance, tubeless available. There is no tire that’s can work perfectly in every condition, but the hybrid radial/bias-ply Mitas E-10 scores high marks for both on and off road traction as well as tread life. The well-balanced profile justifies its 50/50 dual-sport labeling and then some. On trails, the aggressive tread and soft compound work to grip loose dirt, inspiring confidence. In most trail conditions, The E-10 shows off its design advantages through traction and agility, offering great maneuverability when navigating through loose and rocky terrain. The tough sidewall of the upgraded Dakar model further protects the rim from the occasional pinch flat in the event of hard-edged side impacts. Coming in a range of 17”, 18”, 19”, and 21-inch sizes, the E-10 outclasses most dual sport models optimized for the street. In wet situations, its limitations are reached quickly, but it generally performs well on both dry pavement and dirt. The Mitas E-10 is the best overall choice for bikers who want a 50/50 tire and travel long distances on asphalt. ▲ Big block thread is optimized for all surfaces. ▼ Does not quite match knobbier tires in off-road performance. ▲ Durable radial/bias-ply hybrid wears well on roads. ▼ On wet roads the narrower patterns reach their limits. 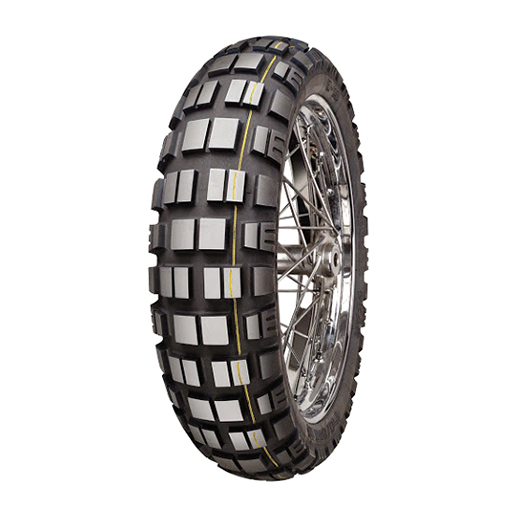 ▲ Dakar-model sidewall offers more puncture-resistance, tubeless available ▼ Somewhat noisier on-road than chunky competitors. Shinko’s tread pattern follows a strategy similar to the Continental TKC80’s. The knobs of these DOT-approved models feature blocky protrusions for better grip on off-road surfaces, yet the profile is low enough for good performance on the highway. The bias-ply sidewall construction works for better cornering by increasing rigidity, making the tire stable while cornering and giving the rider ample feedback. Through mud and sand the Shinkos act like paddles. While excelling off road, the 804/805's deliver great road mileage. These tires are best for bikers who like to cruise sweeping roads on the way to the trails. The Shinko 804/805's feature higher load and speed ratings with a tube-less option, making them an excellent choice for bigger adventure bikes like BMW's R1200GS. Shinko offers sizes that fit 17”, 18”, 19”, and 21-inch rims, and are the budget pick as they offer good value for the money. ▲ Aggressive treads with self-cleaning design. ▼ Optimized more for road mileage than performance. ▲ Street-focused design for stable cornering. ▼ Can have tight front fender clearance with some bikes. ▲ Handles smoothly on pavement. ▲ Inexpensive 50/50 performance, tube-less available. 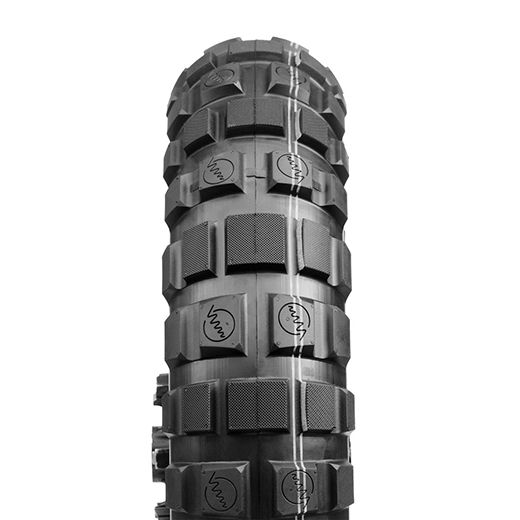 The Vee Rubber VRM-401 tires are light compared to their rivals due to their Kevlar-belt construction, which is good for heavier loads and bigger engines. Large spacing between knobs help these tires shed mud and water easily. The front’s round crown helps for better cornering on and off road and the rear does not sway or chase pavement cracks at speed. With its aggressive tread composed of multifaceted blocks, the front hooks up nicely with gravelly and sandy surfaces, although it’s still a knobby tire that requires bikers to be cautious while riding on wet asphalt. The VRM-401s are designed for larger bikes and come in 17”, 18”, 19”, and 21-inch sizes to match. Like the Mitas, the 401s are good all-around tires with a slight emphasis on off-road handling. These should be a confident pick for bikers on long and even transcontinental tours. Check out ADVMoto's full review of the Vee Rubber VRM401! ▲ Alternate block facets produce good traction. ▼ Low mileage with heavy use. ▲ Stronger and stiffer sidewall. ▼ Larger sizes can be hard to seat on rims. ▲ Quiet on the road. The fact is that picking a dual sport tire depends as much on your personal preferences as on the situations you normally find yourself in. Some bikers believe that knobbier tires generally tend to less traction and cornering ability on slick roads than regular tires, but these 50/50s mostly prove the exception. You should always ride according to your own limits, whatever you choose. With a growing variety of options available, you can find a pair of dual sports that best meets your budget and handles well on the types of terrain you encounter the most. Lucas Knight has spent the last 10 years developing his riding skills and working with motorcycles and enthusiasts alike. He's built up an incredible passion for travelling by motorbike and wishes show his devotion by contributing to the motorcyclist community. Lucas's MotorManner.com turns his knowledge and experience into useful and interesting information for the motorcycle lover. Thanks for the great article. I probably fall into a large category of DS riders, who purchased their bike (new or used) shod with 80/20 tires, hoping from the start to take it off the blacktop after spooning on some future knobbies. As a cheapskate, I’m compelled to completely wear out the existing street oriented DS tires prior to springing for new rubber. The upsides to this are: a) I have time to read reviews like this, so as to make a better choice. b) I get to gain some proficiency with the bike before scratching it up in the local wilderness. Thanks again! Wes of Southern Oregon - Older BMW F650 GS ABS which came with nearly new Dunlop Trailmax TR91 tires. Superb blog! Thankful to you! There is no doubt that essays are tough and it strongly changes a student’s life. So many students bend over to buying essays using online resource. When there is a lot of homework, you may not be able to spend time with your friends and family. Don’t let it happen with you! You should always keep in touch with your loved ones, who care about your happiness. On the other hand finishing the school works is not of less value. When you hit a problem with that researching practice and have no time to handle all the works, go for some best essay writing service. They can surely help you out by what you need. Also with them you get a good chance to save your money and moments. If you order earlier, you save money. Because as the longer the deadline, the lower the fees! And, yes, you get the top writer they can offer. Their writers’ timetable is really busy. Therefore, keep in mind, the sooner you order, the faster the essay gets done. Do not waste your time and contact their buyer service team to get on the way to brilliant papers. From where can we buy essays cheaply? In those situations when you need to buy essay in low price online, you can ask your friends for lend a hand or try to search for a good essay service yourself. Even though there are many services in the market, you should spend a good amount of time to get a best one for future ideas. Carefully chosen service can not only make your grades good, but also make you a best writer and entrust you by giving talents that you would never be trained. So try to buy essays from a renowned service provider and you will lift the weight of burdens for years to come.